In novel, Orbital Maneuvers, the crew was able to return to Earth using the CRV or the Crew Return Vehicle. NASA just posted a rather neat picture of the CRV hanging from the wing of the B-52 mother-ship. 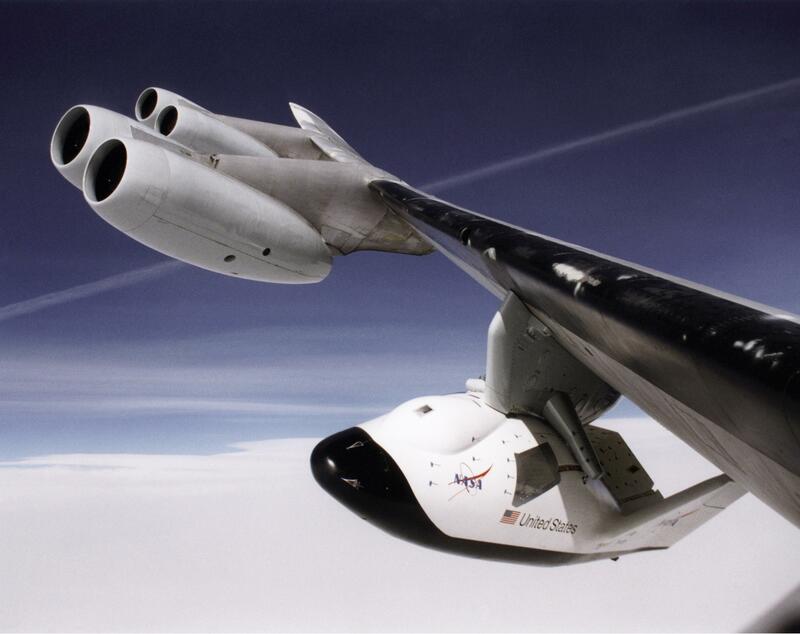 This is not a full size vehicle of the X-38 but only 80% scale model that was used for drop testing. It’s very unfortunate that the CRV was not finished, as it would have provided an alternative to using two Russian Soyuz capsules as escape vehicles for a full space station crew compliment. With the end of the space shuttle’s tour of duty drawing near, we are even more dependent on Russia to get to and from the ISS. A situation that I sincerely hope does not place politics and international relations above the space science and research we’ve worked so hard to create and do on the ISS. There is more information and pictures on the CRV and the Soyuz capsule on the website. 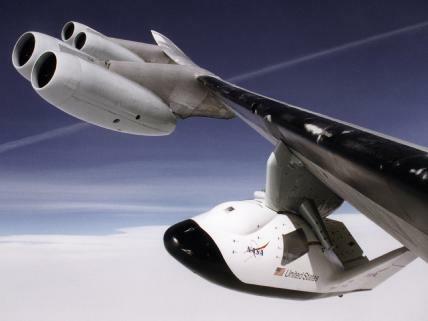 Here’s a link to a larger picture of the X-38. Also, check out NASA’s Picture of the Day site for a daily fix for images of and about space and NASA technology. This entry was posted in Humans in Space by RC Davison. Bookmark the permalink. Thank you! I’m glad you like the site. I don’t like clutter and strived to make the site as clear and direct as possible for the user. I appreciate you taking time to make your comment. I hope you find the subject matter interesting and useful.